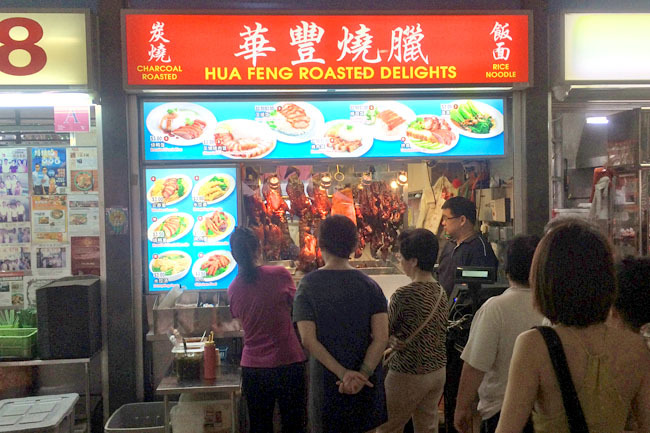 [Updated] Hua Feng Mian Jia has officially closed, and replaced by Hua Feng Roasted Delight. They have a similar looking signage and red coloured plates, but my suspicion was aroused when the queue was much much shorter than usual. So they are two different stalls. Nevertheless, I tried the new Hua Feng’s wanton noodles ($3) and was not bad – springy noodles, a more Hong Kong style roasted char siew, and a slightly spicy seasoning. Go easy on the chilli. They are closed on Fridays. So my question is: Why did the new stall also call themselves “Hua Feng”? An indication of ‘false advertising’? Not enough confidence in their products? After all, regulars would know. [Last Blog Entry dated 18 Nov 2011] Tiong Bahru market has many famed stalls that need no further introduction – chwee kueh, porridge, fish cake, pau, lor mee and char siew – All reputable ‘legends’ in their own right. If you come during the weekends, almost every stall would have a queue, even for the coffee. Those without, you could probably give a miss. There is this one stall which is almost never opened. If it does, it has the longest queue easily with more than 20 pax. Hua Feng Mian Jia 华丰面家 may not be widely known, but its fan base is huge. Some things you may like to note: It is opened 2-3 times a week, only a few hours each time till noon at most. The days they are opened are purely random (I tried to spot a trend but failed miserably). And despite the rampant inflation, the noodles are still at an affordable $2! Yes, $2. They do not need any Retail Price Watch Group sticker, or MakanSutra / Yummy King award to proof that they mean something. 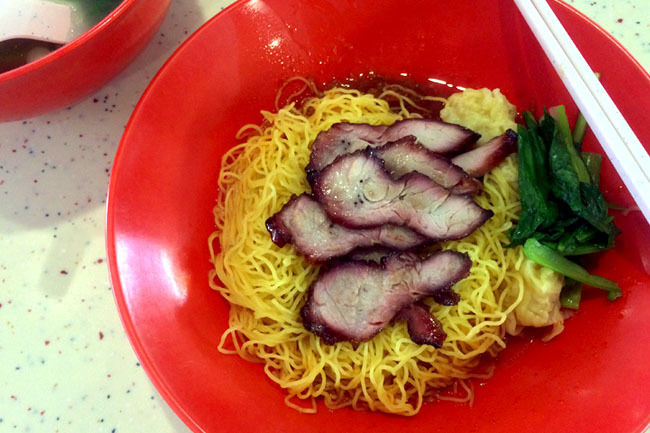 While the thin char siew is nothing to scream about, the noodles are springing with joy and are scrumptious lip-smacking good when it absorbs the oily sauce and special chili. The taste is very old school. Sometimes it feels like my primary school canteen noodles, at times a close substitute to Lavender’s Kok Kee. 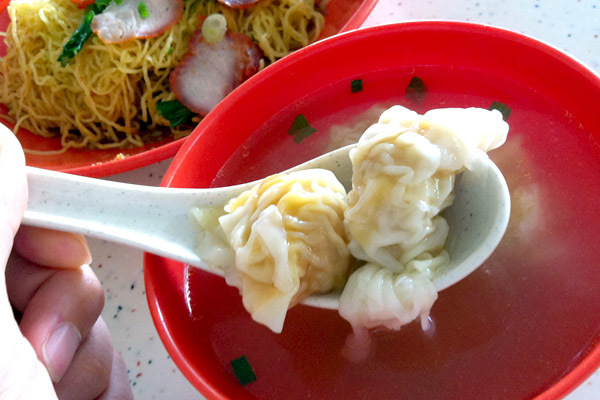 For $3, there were about 5 wantons swimming in the hot delightful soup which is one of the best around. My tip is, ‘tabao’ a packet home for the noodles to absorb all the sauce. It may taste better the next day. That’s if you even manage to catch the stall open. They open on Fridays & Sundays. 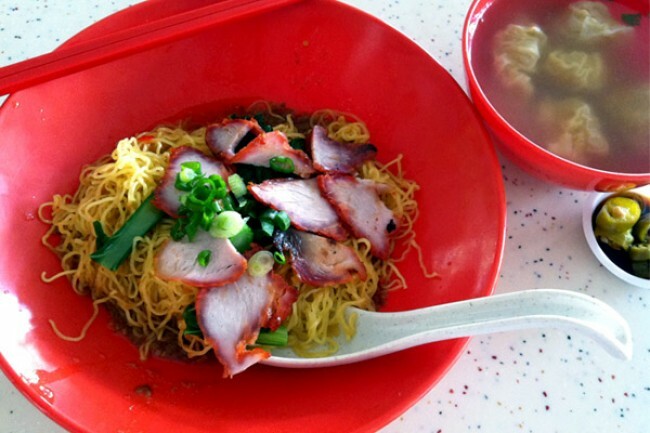 This is my favourite wanton mee of all time. Nowhere else have I had such aromatic and fragrant chili that I am guessing has some kind of dried seafood in it. Also the wanton are super savoury with a lingering umami kick. Unfortunately it appears the stall has closed for good now. I heard the hawker had some health problems – that’s why the opening hours were so infrequent. 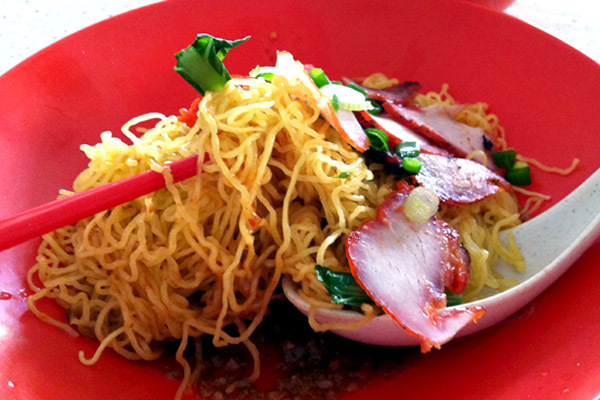 Was wondering if you knew of any wanton mee that has a similar taste ? 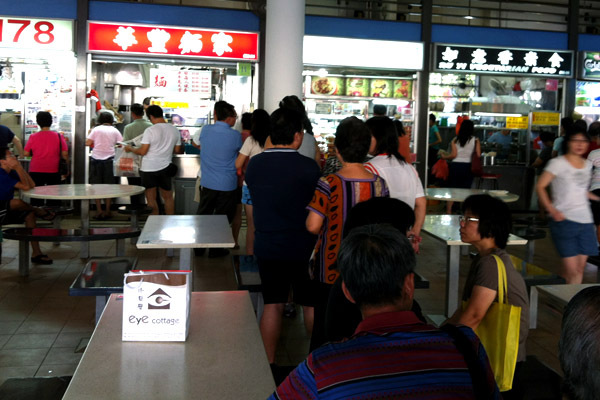 Tiong Bahru market has another wanton mee stall that has the longest queue now. It is beside a prawn noodle stall. It sells Bu Jian Tian Charsiew (Order wanton mee with bu jian tian charsiew). The charsiew is juicy, noodles are springy and light, the soup taste awesome too. Hi Yuan, that I know. That is Zhong Yu Yuan Wei, but nothing really beats Hua Feng’s queue in the past.